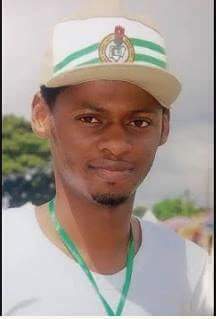 The National Youth Service Corpse has commiserated with the family of a corps member, Lawal Auwal Kontagora, who was murdered by a group of unknown gunmen in Kaduna State. The deceased, and his unnamed friend had reportedly gone to visit a female friend at the Malali area of the state, weekend before he was killed. Reports have it that the trio was seated in a Peugeot 407 when the hoodlums approached them and asked them to open the door. Upon their compliance, they were asked to alight and go on their knees. The assailants then demanded for their mobile phones and in the process of going into the car to get the phone, the assailants thought he (Kontagora) was ‘trying to be smart’ so they reportedly shot him at a close range. As the news of his death remains a mystery, the NYSC coordinator in the state, Muhammed Momoh, has described it as shocking and a big loss. In a statement made available to newsmen, the Coordinator said, “NYSC has confirmed the death of a corps member who was attacked by hoodlums at Malali. “It is unfortunate that at a time the country is developing potential young Nigerians like him, some people are bent on frustrating such effort. “NYSC condoles with the family of the deceased while tasking the police and security agents to trail and fish out the perpetrators,” the statement added. liyu Usman, said investigation has begun into the case. The PPRO told news men the deceased graduated from one of the universities in Malaysia four months ago to participate in the one-year mandatory NYSC and he was serving with an ICT firm in the state until his death. “He was rushed to Garkuwa Hospital along Sultan Road where he was confirmed dead. “Some arrests have already been made,” the PPRO said. So sad. I pray that God Almighty should grant him internal rest in heaven and may He grant his parents the fortitude to bear the irreparable loss.Amen.